While on my quest for more eMMC-based storage devices, I stumbled upon a few devices that piqued my interest: eMMC-based SATA SSDs! I found two models of particular interest: Dell had M.2 modules with a 2.5″ adapter, and HP had custom boards intended for use in cheap laptops (for example, the HP 14-an012nr). Although the former was easier for me to use (but not acquire), I will be focusing on the latter in this blog post. TL;DR – Yes, the Keysight 1000 X-Series oscilloscope runs Doom! The journey getting there wasn’t easy, though. The oscilloscope is one piece of equipment that any self-respecting electronics enthusiast should have. In short, oscilloscopes let you view the electronic waveforms of a circuit, and digital storage oscilloscopes (DSOs) are especially useful since they can reveal infrequent glitches on signals that an analog oscilloscope or a multimeter wouldn’t pick up. The subject of my blog post is the DSOX1102G from Keysight Technologies (formerly Agilent), which is part of their low-end offerings that still offer very good value compared to their competitors. As with most of their oscilloscope offerings, they run an embedded operating system called Windows Embedded CE 6.0 (AKA Windows CE or WinCE), but as with most WinCE applications, you almost never see the Windows interface since it’s hidden behind a custom user interface. Recently, I purchased a cheap Intel Atom-based Windows 8 tablet (the DigiLand DL801W) that was being sold at a very low price ($15 USD, although the shipping to Canada negated much of the savings) because it would not boot into Windows – rather, it would only boot into the UEFI shell and cannot be interacted with without an external USB keyboard/mouse. The tablet in question is a DigiLand DL801W (identified as a Lightcomm DL801W in the UEFI/BIOS data). It uses an Intel Atom Z3735F – a 1.33GHz quad-core tablet SoC (system-on-chip), 16GB of eMMC storage and a paltry 1GB of DDR3L-1333 SDRAM. It sports a 4500 mAh single-cell Li-ion battery, an 8″ 800×1200 display, 802.11b/g/n Wi-Fi using an SDIO chipset, two cameras, one microphone, mono speaker, stereo headphone jack and a single micro-USB port with USB On-The-Go support (this allows the port to act as a USB host port, allowing connections with standard USB devices like keyboards, mice, and USB drives). Battery fuel gauges are the unsung hero of the battery world. 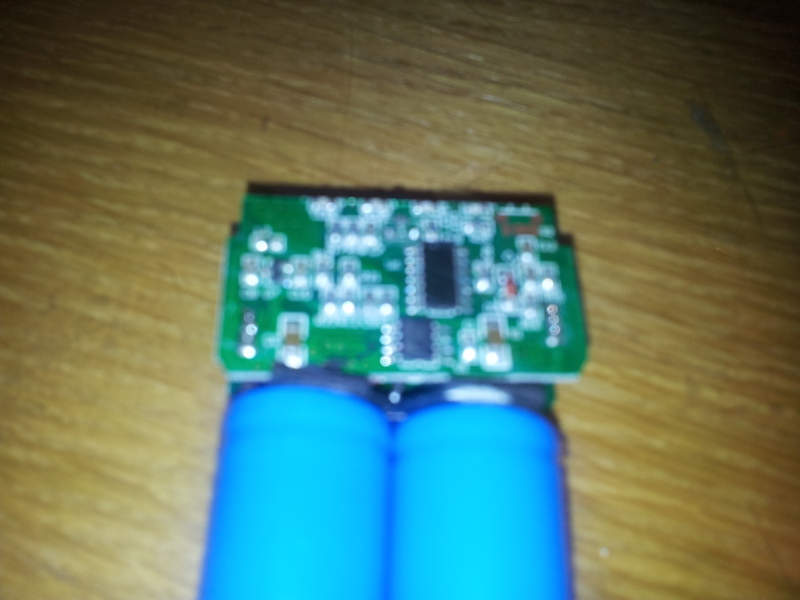 There’s more to it than just measuring the voltage on the battery terminals,. These little chips are microcontrollers (tiny computers, essentially) that sit inside the battery pack and keep tabs on the battery’s performance for the life of that battery pack. Texas Instruments makes battery fuel gauges that are small enough to fit in the circuitry of a cell phone, and one of the most common ones that uses this technology are iPhone batteries. These batteries use a single-wire interface called HDQ (which stands for High-Speed Data Queue). It may sound similar to Dallas Semiconductors’ 1-Wire protocol, but the two are completely different and incompatible with each other. The HDQ protocol can be emulated with a serial port and a little bit of external circuitry. The protocol can be emulated with a serial port at 57600 baud with 8 data bits, no parity bit and 2 stop bits. Because this is a bi-directional bus, an open-drain configuration is needed. Most TTL serial ports are not open-drain, so some circuitry is required to do this. TI’s application note suggests using a CMOS inverter and an N-channel MOSFET along with a 1 kOhm pull-up resistor, but this can be cut down with a 74HC07 open-drain buffer and pull-up resistor. The HDQ protocol uses a short pulse to indicate a logic 1, with a longer pulse to indicate a logic 0. The data is sent LSB (least significant byte) first, with a 7-bit address and an eighth bit to indicate if the operation is a read or write (0 is read, 1 is write). If it is a read operation, the fuel gauge will respond with one byte of data. As you might think, this is a very slow means of communication; the typical bus speed is 5-7 kilobits per second, but the actual usable throughput will be less than this. The hack in this is that the bit timing can be made by sending a specially crafted UART byte that meets the timing specifications. Each bit takes up one byte of UART buffer memory, with 24 bytes being enough to perform an HDQ read (the first 8 bytes are echoed back to the PC and need to be ignored by the software). TI’s application note goes into this with a bit more detail. HDQ utility icon, in all its pixelated glory. I have written a small Windows program that will read out the battery’s main data, identify as a certain iPhone battery model (most iPhone batteries are supported), and save a copy of this data to a text file for safekeeping. This program requires the National Instruments LabWindows/CVI Runtime library to run, since I whipped this program up with the first available IDE on my college PC. The source code is not yet available (translation: I’m too ashamed of my programming skills to share it with others); however, a Windows executable is available for download below. You will need to download the National Instruments LabWindows/CVI Runtime to run this program. [EDIT – July 28, 2016] Welp, looks like the PayPal button’s broken (or was it never working to begin with…?). If you’d like to send anything to me, just give me a shout at ginbot86@gmail.com! [EDIT – August 2, 2016] Whoops, looks like I never had the button working in the first place. Hopefully it works this time. Now that I’ve been amassing a greater and greater arsenal of iPhone batteries, it’s gotten to the point that it makes most sense to create a connector board that can bring out the Pack+/Pack- pins alongside the HDQ data pin so I can view the gauge’s status in GaugeStudio. Why use iPhone batteries in DIY projects? The benefit of using iPhone batteries (note they must be for the iPhone 4 or newer; older ones will lack the fuel gauge) in microcontroller-based projects, is that the fuel gauge allows the microcontroller’s program to read out its current battery level, power consumption, capacity and time-to-empty; you also get the usual built-in protection circuit to safeguard against short-circuits, overcharge/overdischarge and overcurrents. Additionally, iPhone replacement batteries are easy to find online or in cell phone repair shops, making them cheap and plentiful. What is this “HDQ” that I keep talking about? HDQ is a communication bus originally made by Benchmarq (now a part of TI). It stands for “High-Speed Data Queue”, and is a serial bus that transmits data over a single wire. This, however, is not to be confused with Dallas Semiconductor’s 1-Wire protocol. The basic idea is the same but they are completely incompatible with each other. The board was made up of an iPhone surface-mount connector, a 4-pin connector for HDQ data transfer, a 2-pin male header, and a 2-terminal screw terminal. As with many of my prototype boards, wiring of the board is done with thin, flat solar cell tabbing wire. It’s flat, pre-tinned, and can handle high currents easily. Real-time monitoring of battery State-of-Charge (%), current (mA), voltage (mV), capacity (mAh) and also the remaining time-to-empty (minutes). 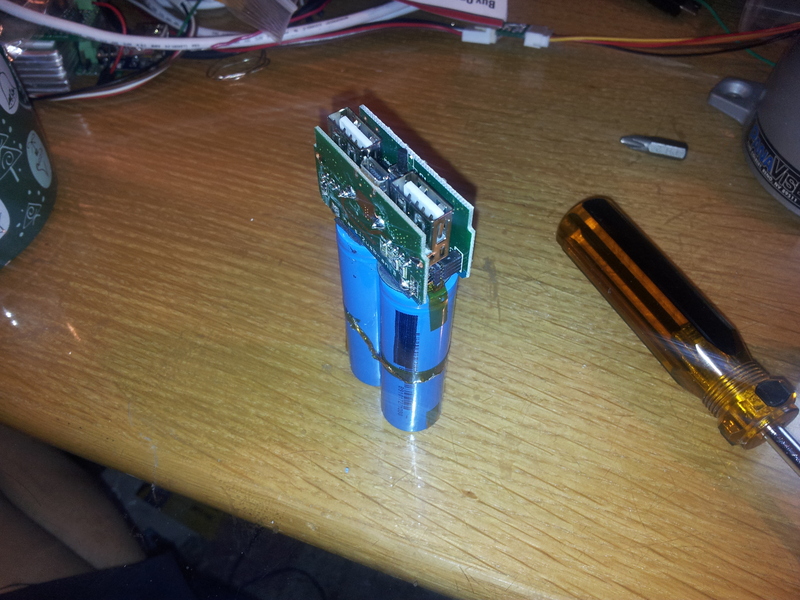 Although I could have created one large breakout with all the available connectors populated, I wanted to be able to use multiple batteries at once for powering different devices. Additionally, the HDQ bus has no support for addressing multiple devices. The iPhone 4, 4S and 5 batteries have an additional NTC thermistor pin, but I have left them disconnected since I can read out the battery temperature over HDQ anyways. Keep in mind that not all Li-Ion batteries have the same charging voltage. The iPhone 4 and 4S batteries use a 3.7 volt cell, charging at 4.2 volts; but the iPhone 5, 5S and 5C batteries are 3.8 volts, charging at 4.3 volts. 4.3 volt cells can charge at 4.2 volts with a capacity reduction of 5-10%, but 4.2 volt cells must not be hooked up to a 4.3 volt charger. There is overcharge protection built into the battery but it should not be relied upon for regular charging. Apart from the usual risk of the battery catching fire (or even just puffing up like a balloon), you also permanently decrease the battery’s capacity and dramatically increase its internal resistance, essentially crippling the battery for life. About a week ago I bought a set of wall outlets from Costco that integrate two USB charging ports into a standard Decora-type receptacle. It’s marketed to replace your traditional AC adapter, allowing other appliances to be plugged in while charging your portable electronics. The second note is of particular importance to me. If it’s true, that means it might be using some USB charge port controller like TI’s TPS251x-series chips. But I’m not one to have blind faith in what’s written on the packaging. Let’s rip this sucker apart! The outlet has a snap-on coverplate which may look sleek but could hamper removal of this outlet later on if needed. I was curious as to why one couldn’t just use a regular screw-on coverplate, and it turns out it’s because the mounting flange doesn’t have any tapped screw holes; you physically can’t use screws on this because the manufacturer didn’t want to go to the effort to make holes that can accept screws! The casing is held together with four triangle-head screws in a weak attempt to prevent opening of the device. I had a security bit set on hand so this posed no hindrance to me. Upon removing the cover, the outlet seems rather well built. However, after removing the main outlet portion to reveal the AC-DC adapter inside, I quickly rescinded that thought. The converter seems relatively well-built (at least relative to some crap Chinese power supplies out there). Some thought was put into the safe operation of this device, but there’s almost no isolation between the high and low voltage sides, and the DC side of this adapter is not grounded; the “ground” for the USB ports floats at 60 volts AC with respect to the mains earth pin. The Samxon brand caps are also pretty disappointing. As for the USB portion of this device, I had to remove some hot glue holding the panel in place. 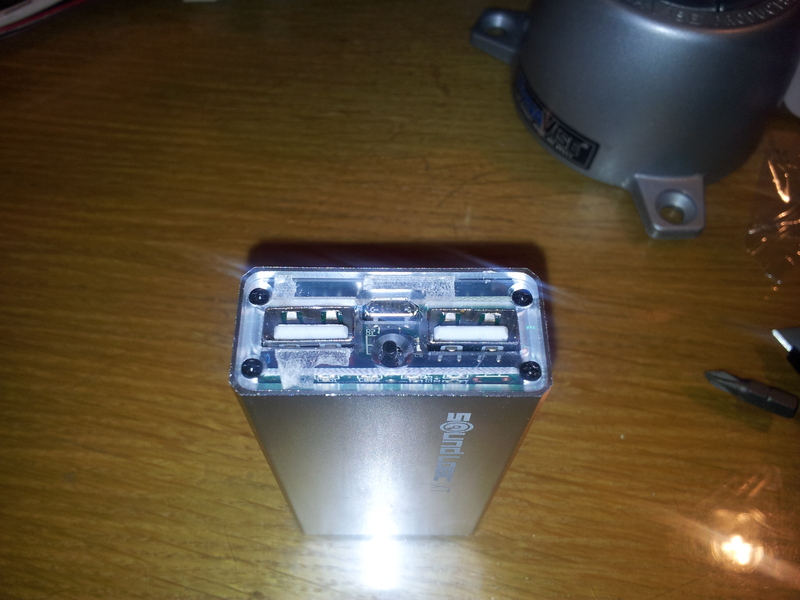 After a few minutes of picking away at the rubbery blob, I was able to pull out the USB ports. To measure the voltage-current characteristic of the outlet, I rebuilt my bq27510-G3 Li-Ion gas gauge board so it had better handling of high current without affecting my current and voltage measurements. The reason I used this is because the gauge combines a voltmeter and ammeter in one chip, and by using the GaugeStudio software, I could create easy, breezy, beautiful V-I graphs. Using a Re:load 2 constant-current load, I slowly ramped up the load current while logging the voltage and current data to a CSV file for analysis in Excel. This charger’s… okay. It has surprisingly good regulation up to 2.3 amps, but after that point the AC-DC converter basically brickwalls and the voltage plummets to 3 volts. That said, this also means that this outlet is not a set of “two 2.1A USB ports”. You can charge one tablet but you won’t be able to charge a tablet along with another device simultaneously. Bah, I’ve had it with this wall outlet. Looks like this one’s gonna be returned to Costco in the next few days. This outlet may be adequate for some people, but for me it’s a disappointment. Lithium-ion batteries are great. They have high energy density, are lightweight, and in the case of many portable devices, they can be easily swapped in and out. One problem with prismatic (the types you often find on cell phones that have a set of flat contacts on one end of the battery) packs is that they’re all custom; the cell may be standardized but the pack it’s in is often proprietary to a certain make and model. Sure, there are “universal” holders out there, but they provide poor electrical contact at best. Since I need a secure electrical connection when using my battery fuel gauges, I sought to create a more sturdy holder for the batteries I have lying around. The construction of the holder is pretty simple. A strip of female pin header (I used a single-pin-width header but a double-width one can be used for greater mechanical strength) is used as an end-stop for the battery, and a right-angle pin header is used to create contact with the battery’s terminals and to provide the physical “clamping” needed to create a good connection. The right-angle header can be bent and soldered into place to adjust the holder to the particular cell you’re using. Additionally, be sure to use some high-quality FR4-based boards as the brown-coloured paper/resin-based boards won’t have as good resilience and strength, and probably won’t be plated through either (this improves the structural integrity of the holder since the pin headers will be under a bit of physical stress). For connections, I have a 2-pin header (physically a 3-pin header with one removed to denote polarity) and a set of screw terminals. 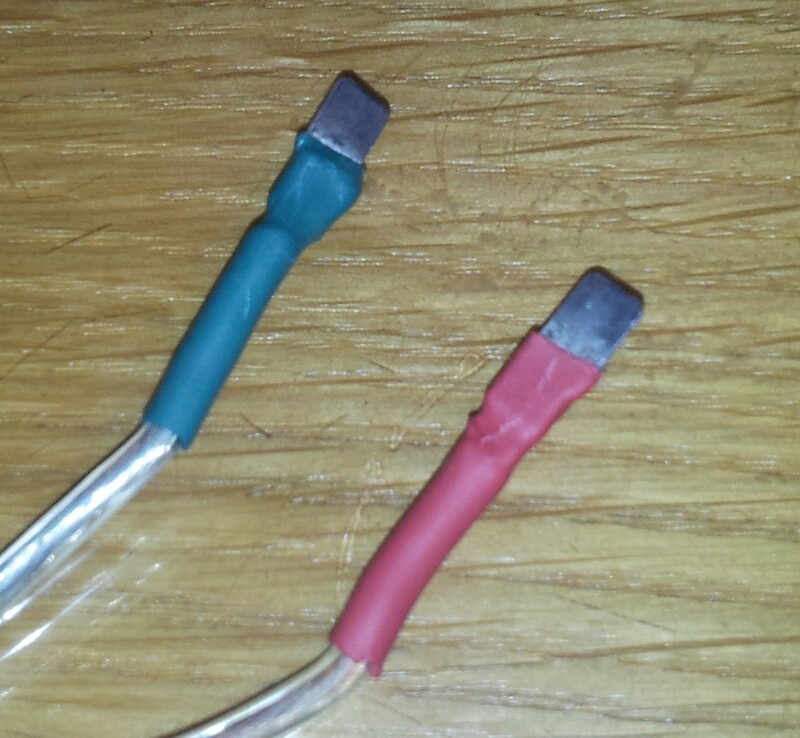 These are wired up using a flat ribbon “wire” used to connect solar cells together as they can handle several amps and come pre-tinned with solder. This sort of setup can be adapted to nearly any commercially available prismatic battery, provided it uses a flat contact area on the sides. Laptop batteries can be a rather handy source of power, even if it’s not being used in a laptop computer. 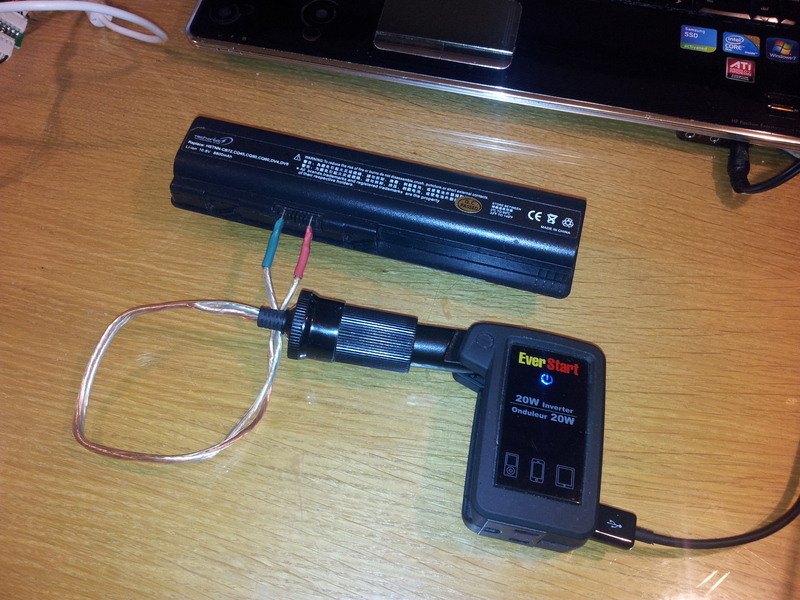 I built an adapter that converts the knife-blade connector that a laptop battery uses to a car lighter socket. The connections are made by taking the blades of an ATO or ATC (regular size) car fuse, soldering them to some 16-gauge speaker wire, then soldering the other end to an inexpensive DC lighter socket. This setup is only good for roughly 5 amps (the overcurrent protection on this battery is set to 6 amps) and the voltage near the end of discharge can be too low for certain devices; power inverters will stop at about 10 to 11 volts which leaves a small amount of battery capacity unused. Update (December 11, 2017): For those on Windows 10, click HERE for the SCR300 driver package – digitally signed to ensure compatibility. Extract the files, right-click the appropriate x86/x64 .INF file and select “Install”. Proceed with the installation as shown below. 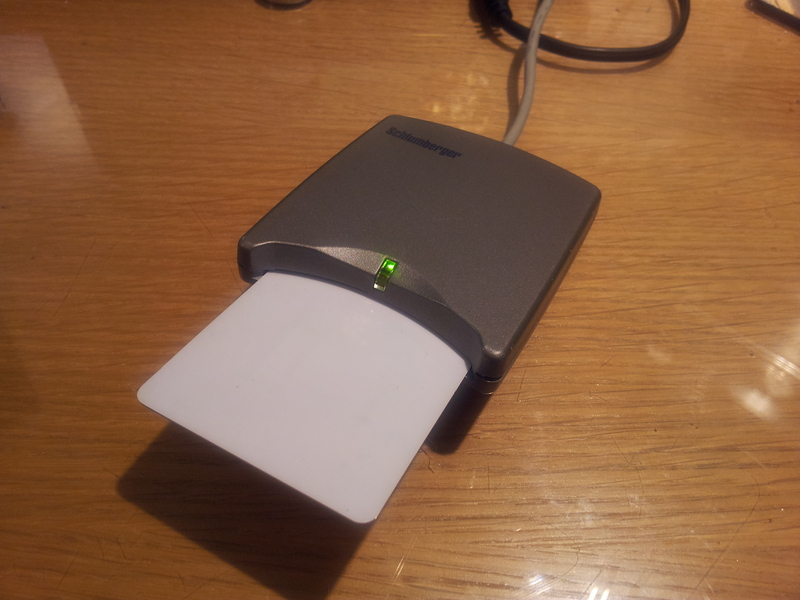 A viewer requested help on installing the drivers for the Schlumberger Reflex USB smart card reader, so I’ve created a step-by-step instruction guide on doing so. 1. Plug in the smart card reader into an available USB port. Windows should attempt to install a driver but won’t succeed. Of course, no drivers found yet. 2. 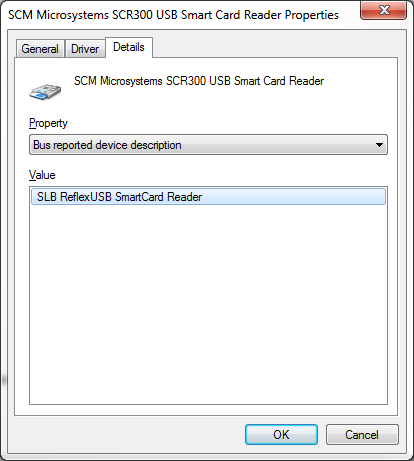 Open Device Manager, and select the “SLB ReflexUSB SmartCard Reader” in the list. Enter “devmgmt.msc” in the Run window to open Device Manager. Select the “SLB ReflexUSB SmartCard Reader” from the list. Click “Update Driver…” to begin the driver installation process. 3. Follow the wizard and opt to install the drivers manually. Choose “Browse my computer for driver software” as Windows will not be able to to auto-select the driver for you. Select “Let me pick from a list of device drivers on my computer”. This will allow us to force a driver install for the smart card reader. When presented with a list of devices, scroll down to “Smart card readers” and click Next. Scroll down to “SCM Microsystems” under the Manufacturer list, and select the “SCM Microsystems SCR300 USB Smart Card Reader”. Windows should say that the drivers are digitally signed. Windows will alert you that the device driver may not be compatible; click Yes to continue. Once you see “Windows has successfully updated your driver software” your smart card reader should work properly now. Windows now recognizes the smart card reader. 4. Enjoy your now-functional smart card reader. The reader is recognized in Windows, and in PC SC Diagnostic, a third-party application. I was doing some prototyping of the TI TPA2011D1 3 watt Class-D amplifier that’s in a 1.2 x 1.2 mm 9-ball BGA package. Unlike my tries with the bq27421, these chips are downright painful to solder. 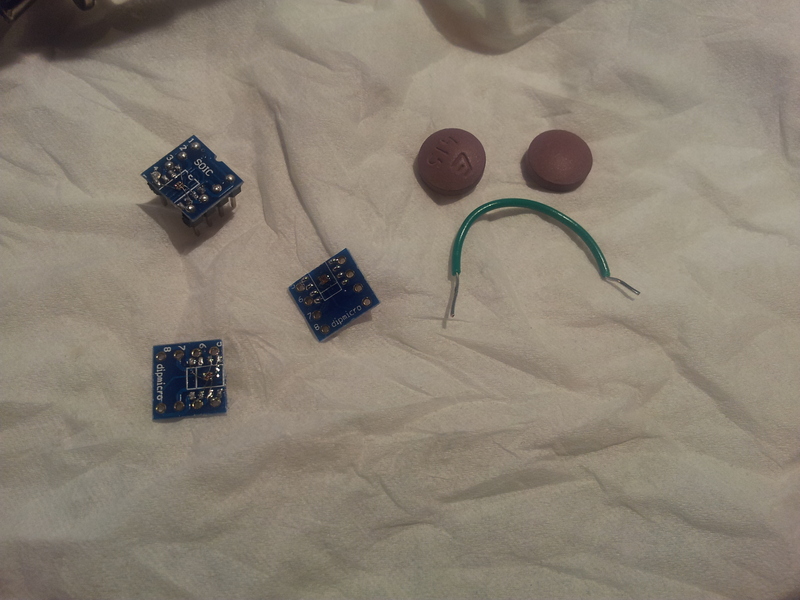 Out of 5 chips that I’ve tried to solder, only one of them actually worked. That’s a 20% success rate. Bummer. The only thing that’s preventing me from being any more angry about these chips is that my back and shoulders hurt quite a bit after hunching over to try and solder these bastards for a good 6 hours. For a tutorial on how to install the drivers, click here. A while back a friend of mine gave me an old smart card reader that was of no use to him; he had no need to use smart cards at home and the reader he gave me, a Schlumberger Reflex USB reader, had no support in 64-bit Windows 7, or so it seemed. 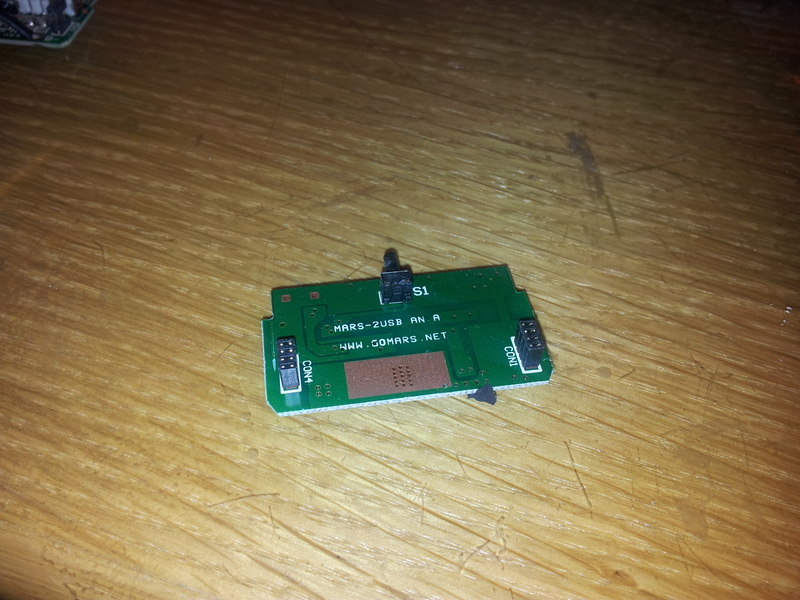 I cracked open the reader (didn’t take any effort, there are no screws nor snap-clips holding the case together) and found the internal part number: an SCM Microsystems SCR301 reader. 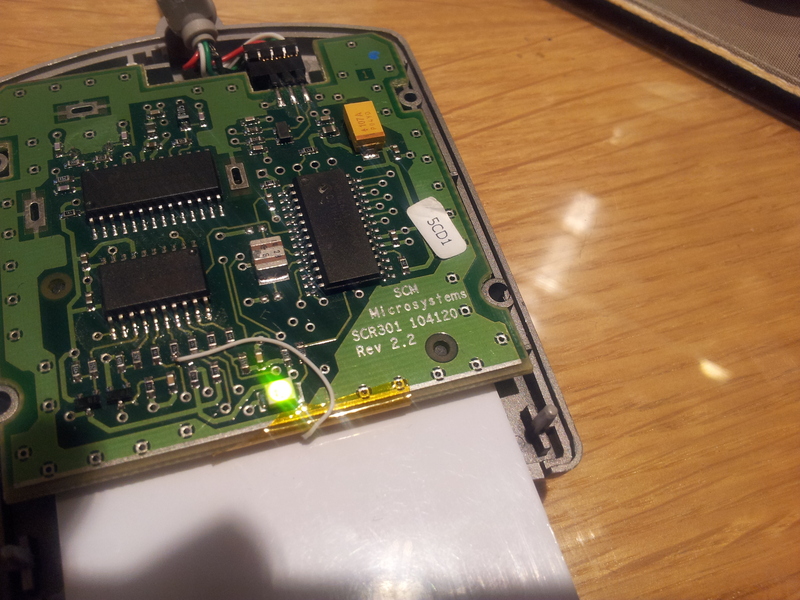 Forcing Windows to use the SCM Microsystems SCR300 driver was successful in getting the reader to show up in Windows, meaning that I had a free, usable smart card reader to tinker around with. Awesome. Update on June 20, 2013: Added a screenshot of the reader in Device Manager. Since my previous attempts at getting the Motorola smart cards to work were generally fruitless, I decided to revive an old attempt to get a TI-83 Plus LCD screen to work by itself. Earlier tries failed due to mistakes in creating a pinout for the LCD, and at one point I thought I damaged the driver as the chip got very hot. After completing a recent assignment for my electronics engineering class involving the classic 8-bit parallel HD44780 LCD (and finally understanding the difference between 8080 and 6800-type parallel interfacing), I dug up a datasheet for the LCD and spent about an hour and a half getting it to display content. … And it worked! Because this LCD is a graphic LCD, there is no built-in method to display text. For my tests I manually entered the command and graphic data, by hand, using nothing more than a bank of DIP switches and a debounced pushbutton. The LCD, when first initialized, has complete garbage in the built-in display SRAM. I had to manually enter 0s for all the visible pixels on screen in order to clean up the display, then set the rows and columns manually to print out “Hello world!” on-screen. The LCD driver is a Toshiba T6K04, which has 128×64 resolution internally but only the left 96 pixels are visible on the screen. It uses an 8-bit 6800-type parallel interface (CE is used for clocking in data) and, depending on the age of the calculator, has all the support circuitry on the same PCB. Note that newer TI-83 Plus models are built a lot “cheaper” than the older models. The newer ones don’t have a PCB on the back of the LCD screen and all the support components are on the mainboard. I had one that was made around 2004, give or take a couple years. There are older models that use the Toshiba T6A04. I believe the pinout for the older TI-83s using the T6A04 is different, but the command set is the same. Reset: Active-low input for resetting the LCD screen. RW: Input for parallel interface read/write mode: High = read, low = write. For most purposes you can leave this tied low. D/I: Selects whether to send graphic data, or to send a command. High = data, low = command. STB: Active-low standby input. Typically you would leave this tied high unless you want to put the LCD in a low-power state. NC: Bare pad that is not connected to anything on the PCB. 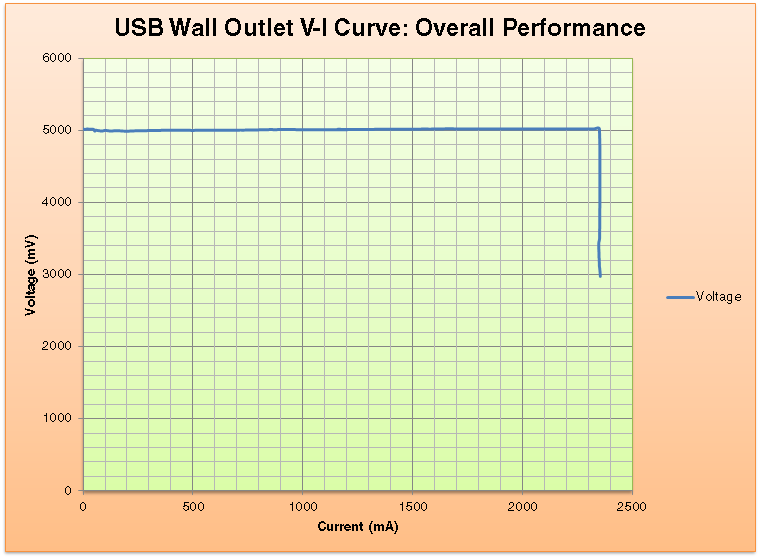 VCC: Power supply input: 2.7-5.5 volts DC. After a bit of tinkering I’ve created a table of commands to send to the LCD to initialize it. If time permits (and after college midterms are over, etc.) 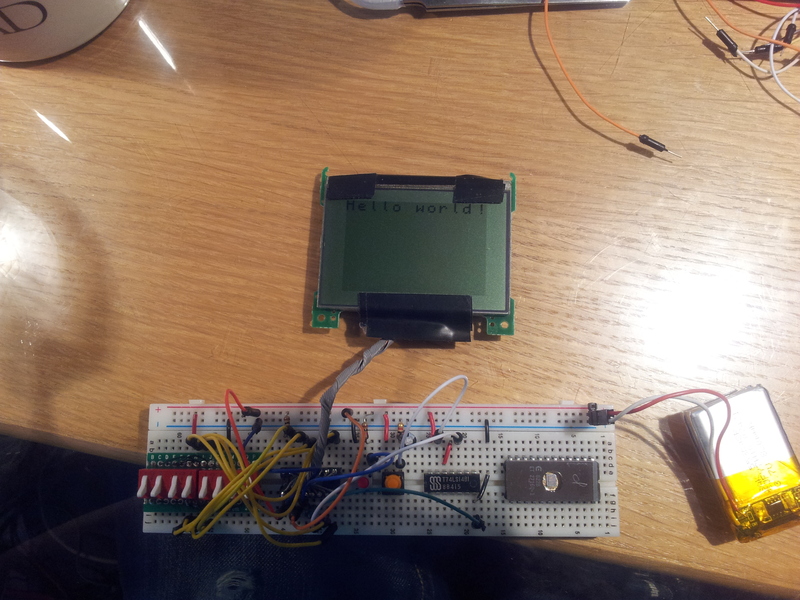 I’ll write up a quick microcontroller program to control the LCD.